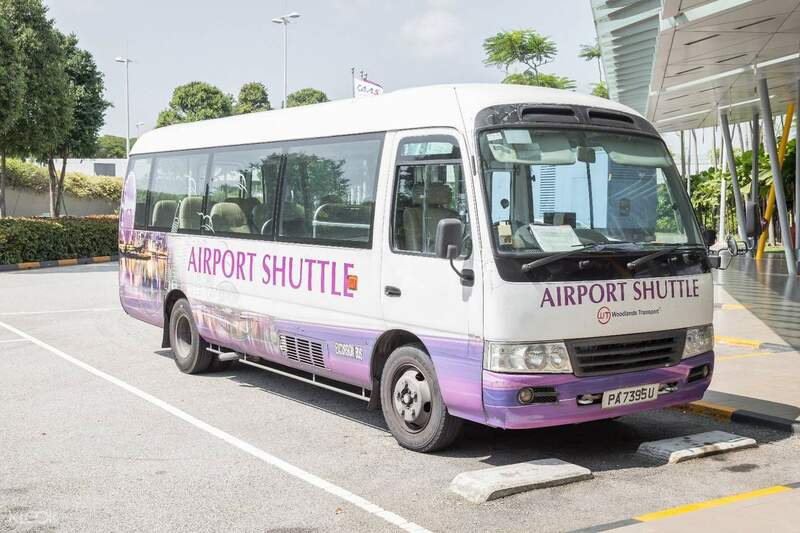 Enjoy convenient transfers to and from Singapore Changi Airport! Everything is good organised. Just one star less because of not a good description how to find the booth. A hint: If you go to Hilton Garden Inn, it will be one of the last hotels they go to. So it took 1 hour from the airport and same on the way back. Skip the long queues at taxi lanes when you book this hassle-free hotel transfer from Singapore Changi Airport! With an extensive list of over 400+ hotels in the transfer service – it's the easiest way to get from the airport to your accommodation. Just book a one way or round trip transfer for a smoother trip in and out of the Lion City. 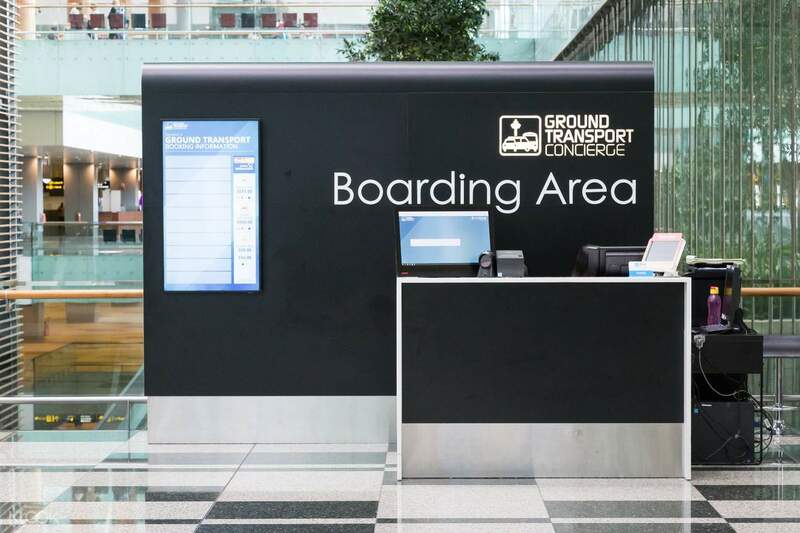 If you booked round trip transfers, make sure to head to one of their pick up counters in the airport and arrange your return transfer in advanced. If not, simply go straight to the bus shuttle and present your voucher to the driver. For extra security, you can even reserve your seats at the time of booking to avoid any waiting around. Their round-the-clock service and instant confirmation guarantees convenient on-the-spot booking and even late-night transfers. 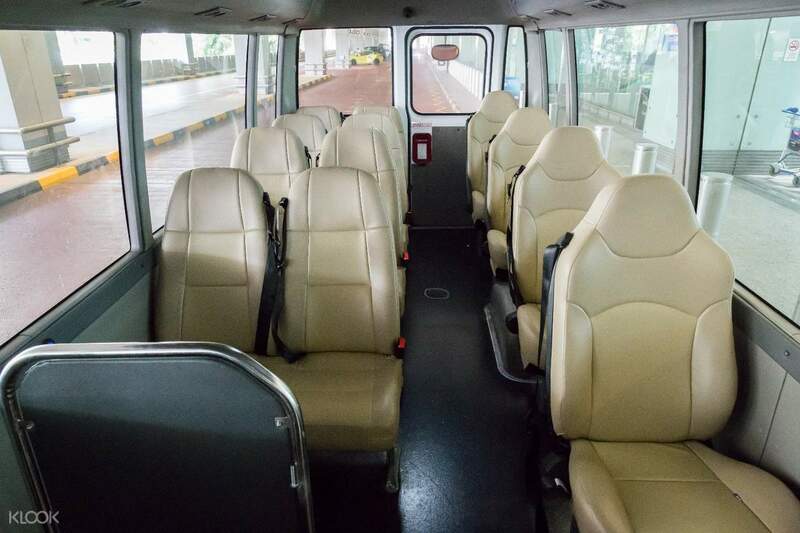 Travel in comfort in their air-conditioned shuttle, and worry no more about directions or extra fees. Ths counter was easy to find. The lady who assisted us was very approachable and very friendly. Even if it was a shared transfer we did not wait long for the driver to arrive. The mini bus was clean and it has wifi on it and you can even charge your phone while riding. I have another booking for our departure. I hope I will also have a pleasant experience. Ths counter was easy to find. The lady who assisted us was very approachable and very friendly. Even if it was a shared transfer we did not wait long for the driver to arrive. The mini bus was clean and it has wifi on it and you can even charge your phone while riding. I have another booking for our departure. I hope I will also have a pleasant experience. Easy to use. Just show the voucher to the counter at ground transfer Changi Airport. Just a little bit problem during this Chinese New Year period , they can’t drop me at Hotel location china town due to traffic jam and crowded. Anyway they can drop near by the accommodation. Thank god. Easy to use. Just show the voucher to the counter at ground transfer Changi Airport. Just a little bit problem during this Chinese New Year period , they can’t drop me at Hotel location china town due to traffic jam and crowded. Anyway they can drop near by the accommodation. Thank god. It was a very convenient experience. we arrived in Changi around 130am and we were able to go immediately to our hotel in gaylang. The lady who assisted us, though we had different languages, helped us amazingly. I think we saved money here, too. Because we did not grab a taxi, whic I heard way more expensive. It was a very convenient experience. we arrived in Changi around 130am and we were able to go immediately to our hotel in gaylang. The lady who assisted us, though we had different languages, helped us amazingly. I think we saved money here, too. Because we did not grab a taxi, whic I heard way more expensive. Smooth and hassle-free transfer from airport to hotel. Highly recommended to any traveler. Was supposed to take the train to and from the city but tried to avoid rush hours especially that I brought a large luggage with me. Smooth and hassle-free transfer from airport to hotel. Highly recommended to any traveler. Was supposed to take the train to and from the city but tried to avoid rush hours especially that I brought a large luggage with me. Picked up the bus from the terminal 3 point . Very easy to find the bus location. Exchanged Klook printed document for tickets . Had to wait about 20 mins for the bus . Bus was clean and staff very helpful . Picked up the bus from the terminal 3 point . Very easy to find the bus location. Exchanged Klook printed document for tickets . Had to wait about 20 mins for the bus . Bus was clean and staff very helpful . Bus schedules is on time. We only wait for a few minutes. Efficient. Convenient and hassle free. Comfortable. Luggage has its own compartment. By the way you can charge your gadgets while on the bus. Isn’t amazing?! And whats good about it is fast charging! Bus schedules is on time. We only wait for a few minutes. Efficient. Convenient and hassle free. Comfortable. Luggage has its own compartment. By the way you can charge your gadgets while on the bus. Isn’t amazing?! And whats good about it is fast charging! Highly recommended for people traveling with huge groups and have many luggage. It is much cheaper than riding a taxi and don't have to worry about luggage space. The receptionist and driver was friendly and helpful. Fetched all the way to the hotel's doorstep. Also enjoyed the scenic view throughout the bus ride. There's even a USB port in the bus if you need to charge your phone! Highly recommended for people traveling with huge groups and have many luggage. It is much cheaper than riding a taxi and don't have to worry about luggage space. The receptionist and driver was friendly and helpful. Fetched all the way to the hotel's doorstep. Also enjoyed the scenic view throughout the bus ride. There's even a USB port in the bus if you need to charge your phone!